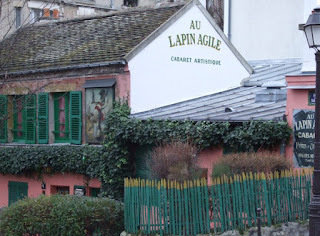 I knew about the Lapin Agile long before I had the chance to visit. I had read about it in the biographies of many of my favourite artists, and it is the period of Montmartre history which I love best. This famous little Parisian cabaret opened in the mid 19th century, originally as the Cabaret des Assassins. It soon became a favourite spot for artists, poets and writers. The name of the cabaret comes from the painting of a rabbit jumping out of a saucepan done by the caricaturist Andre Gill (Lapin a Gill or Gill's Rabbit). 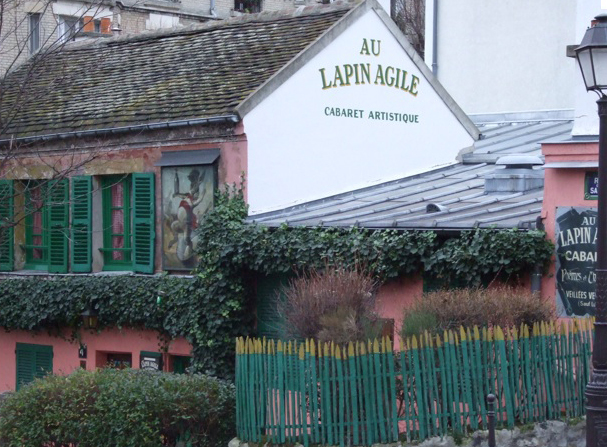 The Lapin Agile has been the subject and inspiration for many artists and writers over the years, including Utrillo, Picasso, Lautrec and Steve Martin who wrote the play "Picasso at the Lapin Agile"
I had no idea what to expect on our first visit. 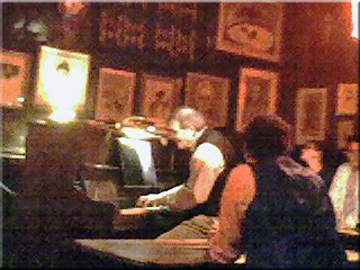 It is a small, dimly lit room holding long wooden tables and a lot of great images on the walls. The only instrument is a piano. We sat down and were offered a cherry liqueur (which we thoroughly enjoyed) and then the staff began to sing. And that's the whole deal - an amazing evening of great classic French songs including Piaf, Aznavour, Chevalier etc., and you can join in or not! The performers are very talented with strong voices and all seem good natured. (They would have to be with the audience singing along). It's like being at a friend's house and singing all your favourites. I won't go into any further details on the history as it is very well documented and I recommend you check out their web site. If you're going to Paris, I can't think of a better way to spend an evening. I love this little cabaret. 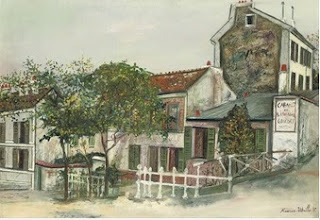 I know it's changed since Utrillo's time, but it survived and that's amazing. It's the closest you'll get to Montmartre in it's heyday. Now I have to practice both my French AND my singing! Have heard about the Lapin Agile. Will check it out on our next trip!